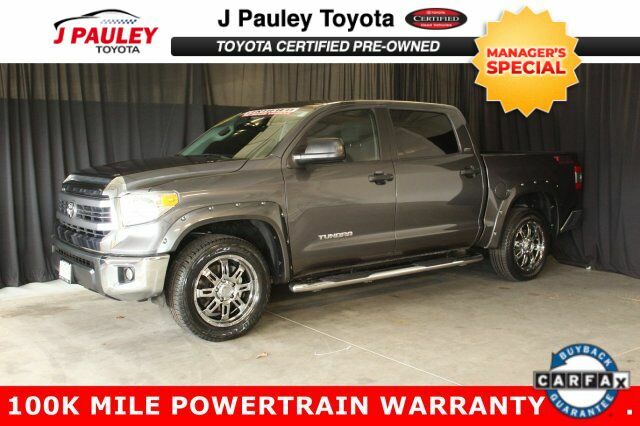 This certified 2015 Toyota Tundra 2WD Truck SR5 has a CARFAX free of accidents and damage. Comes equipped with the following options: premium alloy wheels, tow hitch, power locks, power windows, AM/FM radio, CD player, AUX input, USB port, multiple power sources, backup camera, cruise control, hands free Bluetooth, and keyless entry. Stop by and visit us at J. Pauley Toyota-Scion, 6200 S 36Th St, Fort Smith, AR 72908.